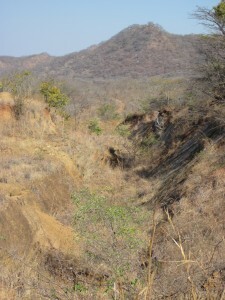 Zimbabwe is rich in minerals, farmland and has great potential in tourism. Not far from the capital Harare, in a region with lots of small scale miners (also called artisanal mining) and large scale mining sites (companies with industrial production), there is now an opportunity to become part-owner of an underexplored site where previous drillings have indicated satisfying gold reserve in situ of gold. At the site of operations there is currently only a small production going on due to lack of capital in the country. Foreign investors have recent years started to be more interested but prices on resources are still very attractive, compared with for instance South Africa. Successful mining and exploration is depending on skills in geology and mining engineering and the current mine opportunity will quite easily be satisfied in this aspect. However, there is still some exploration needed to be done. Geology is a science in itself, and as an example of where gold have been found, we below demonstrate the on-site hanging wall section which was created millions of years ago when the earth moved. Detta inlägg postades i Uncategorized den juni 23, 2014 av admin.